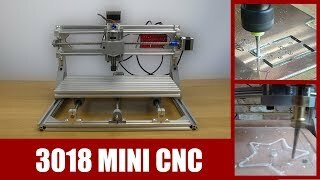 CNC 3 Axis Engraver Machine - Complete Assembly and First Print! 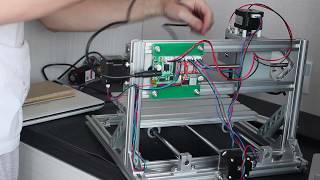 00:00 - 04:10 Is the assembly of the cnc machine. 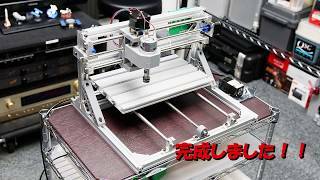 04:10 - 06:42 I install and use the free software GCAM to create an .nc file to be printed. There are many other good cam software out there. I like GCAM because you can create files or load in svg or gerber files, or import a png image. 06:42 - 07:05 - Make sure to really tighten the small black bolts. The vibrations could cause them to unscrew and the bit to fall out which you dont want to happen. 07:05 - 07:20 I chose basswood for this first print because it is soft. Harder wood would be better but it is more expensive and could be harder to cut if your settings aren't right. 07:26 everything you see at this frame is provided in this cnc kit. The L corner brackets I bought at a hardware store for about 2 dollars. I use them as clamps to hold down the wood but you could use any kind of clamp that would work. 07:54 - 09:11 I am installing grbl Control. 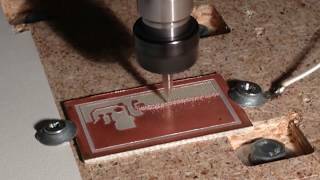 The free software to send .nc or gcode files to the cnc machine. Go to settings and hit the refresh so the software can find the right usb slot the cnc machine is plugged into.ALWAYS remember to clear the X,Y,and Z before printing so the printer knows where you want the origin to be. This printer goes by many names online so here is what mine was called and here is the wiki to the exact model I have. 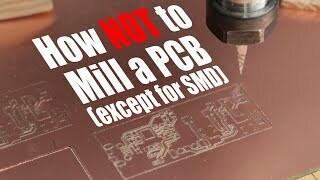 CNC Printer: "DIY CNC 3 Axis Engraver Machine PCB Milling"
Some assembly steps are found in this link at the bottom. 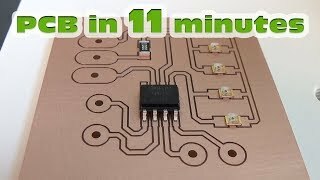 I hope this was helpful if you are just beginning! 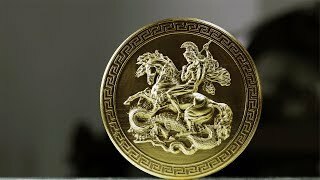 I hope you like and subscribe for more fun videos! Thank you for watching. 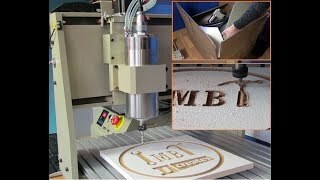 CNC 6040 Router – Unboxing, Assembly and First Cuts – AWESOME MACHINE!!! 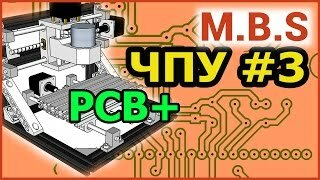 Первое подключение CNC 2418. Тестовый запуск.